As you may know, the fortunes of Kettering Town Football club have been on the rise of late, both on and off the field. 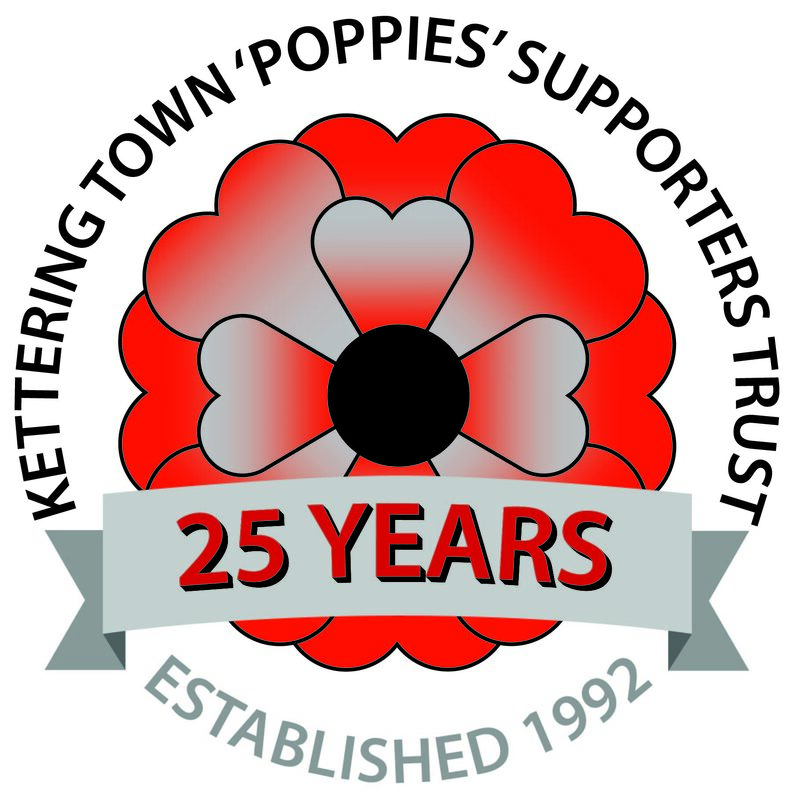 “The Poppies” are one of the best known features of the Town, mainly through their exploits in the FA Cup over the years. They are a real community based club, offering not just first team football, but also Youth Football Coaching from ages 3 to 21, KTFC Ladies Team, KTFC Vets team, Multi-disability Coaching, soccer camps and summer schools, and more. The club are currently playing their home fixtures at Latimer Park in Burton Latimer, but have recently come to an agreement with Kettering Borough Council to purchase a piece of land back in the town to build a new facility. It is important for the club to continue improving the facilities at Latimer Park whilst planning for the new facility is underway. To that end the Poppies Supporters Trust have launched a TIN HAT FUND, in order to raise the funds to erect a new covered terrace at one end of the ground. This terrace will be able to be moved to the new site when the time comes, and will therefore form an integral part of Kettering Town’s home for many years to come. 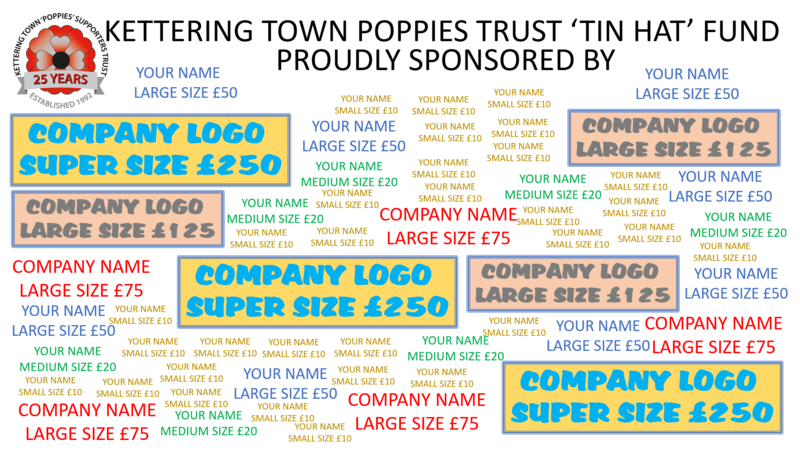 Each board will be 2.4m x 1.2m in size. If you wish to become a Sponsor, please email the Trust at: poppiestrust@gmail.com, and we will send you payment details. Kettering Town are currently pushing hard for promotion, and attendances are climbing rapidly, so there has never been a better time for local businesses to become associated with the club.